According to the Palm Beach Post’s “Heroin: Killer of a Generation” article series, 216 people in Palm Beach County died from a heroin-related overdose in 2015 alone. The heroin epidemic has been silently stealing away loved ones, and it’s probably not who you expect. According to the Post’s report, 95 percent of those 216 deaths were white and nearly half were 35 or under. Those who died from a heroin-related overdose were, “overwhelmingly white, overwhelmingly young and overwhelmingly middle class.” These were not, as so many assume, underprivileged people with no access to help or support; these were middle-class individuals, many of whom came to Palm Beach County for treatment. Given all that, it raises the question of how the heroin epidemic took root and what we can do to fight it. As we discussed in a previous blog, addiction is such a deeply-reaching disease because of how drugs and alcohol trigger the same pleasure release that life-sustaining things like eating do, only more exponentially. As Christine Stapleton explains it, your average daily dopamine level is 50. When you eat your favorite food, that goes up to 94; when you have an amazing day and, say, win the lottery, your dopamine levels would jump to 100. In contrast, a hit of heroin makes those dopamine levels skyrocket to 1,000. An alcoholic beverage is enough to make those levels jump to 875. Because drug addiction causes your dopamine levels to soar so high, the drugs are actually altering the brain’s function, which makes sustaining that over time increasingly hard to do; this is why addicts end up taking or drinking more. And, just as with diseases like diabetes, overcoming substance abuse and drug addiction cannot be done without seeking outside help from professionals. 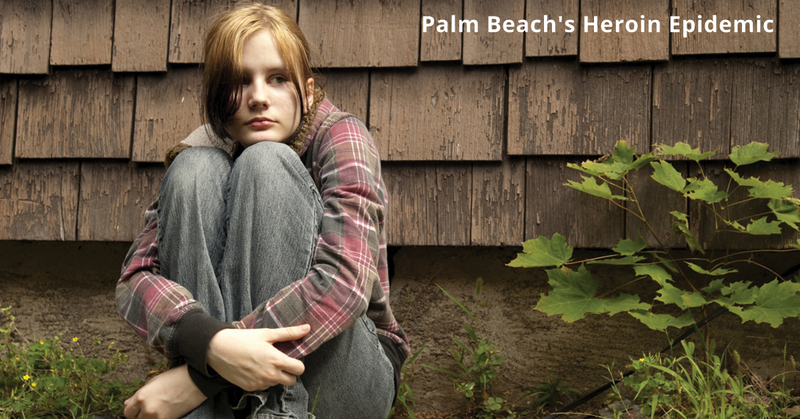 Heroin addiction is an increasingly pervasive issue for Palm Beach County. Awareness is an important first step, but that won’t be enough to stop the spread. If you have a loved one who has a heroin addiction or other substance abuse problem, the first step for parents of addicts is to seek help for yourself. As much as heroin is increasingly addictive, it is also pervasive and affects not only the addict but parents and families of addicts just as much. In order to effectively support your loved one through addiction treatment, get help for families of addicts first. Programs specifically for parents and families of addicts, like the workshops and counseling provided at Family Recovery Solutions of Florida, are designed to teach you the skills to reclaim your own life and navigate how to healthily help your loved one get treatment for their drug addiction or substance abuse problem. At Family Recovery Solutions of Florida, we offer everything from individual and family counseling as well as intensive workshops to provide the much-needed help for families of addicts. With the skills you learn, you will be better equipped to break the cycle of addiction and help your loved one heal rather than become another casualty in the heroin epidemic. To get effective help for families of addicts in Palm Beach, call Family Recovery Solutions of Florida today!